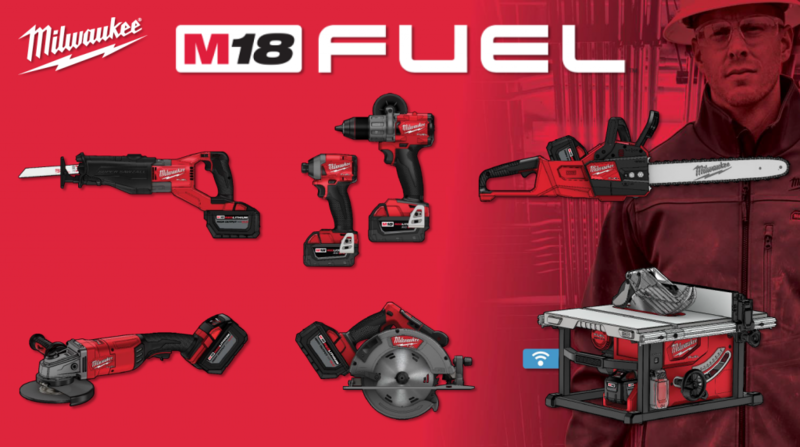 Home » Milwaukee M18 FUEL: Available for Pre-Order! The new 12.0 Ah battery pack is available for pre-order today! Choose either an individual battery or a starter kit with a battery and charger. 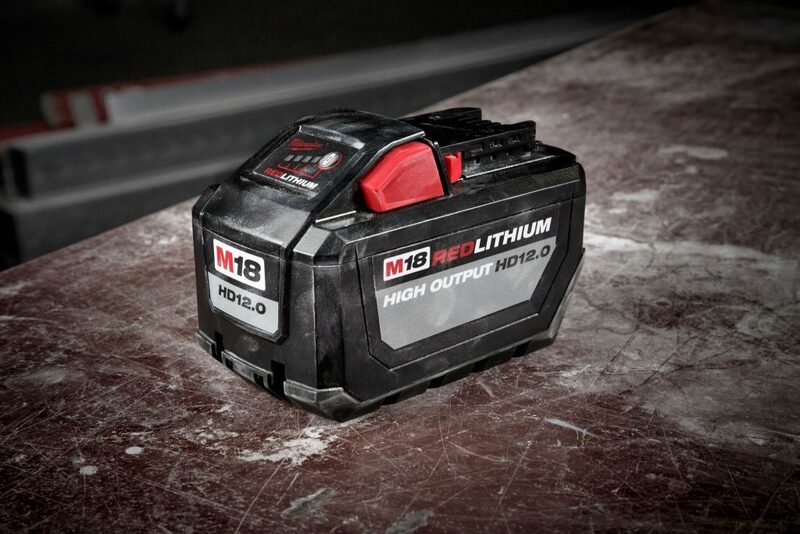 Milwaukee is also releasing a new REDLITHIUM HIGH OUTPUT XC6.0 Battery Pack (48-11-1865). The new 6.0 Ah battery cranks out 50 percent more power and runs 50 percent cooler than earlier M18 REDLITHIUM HD packs. And because these packs run cooler, you can push your tools harder, knowing that these new batteries won’t fade before the job’s done. Pre-order your REDLITHIUM HIGH OUTPUT XC6.0 Battery Pack today! 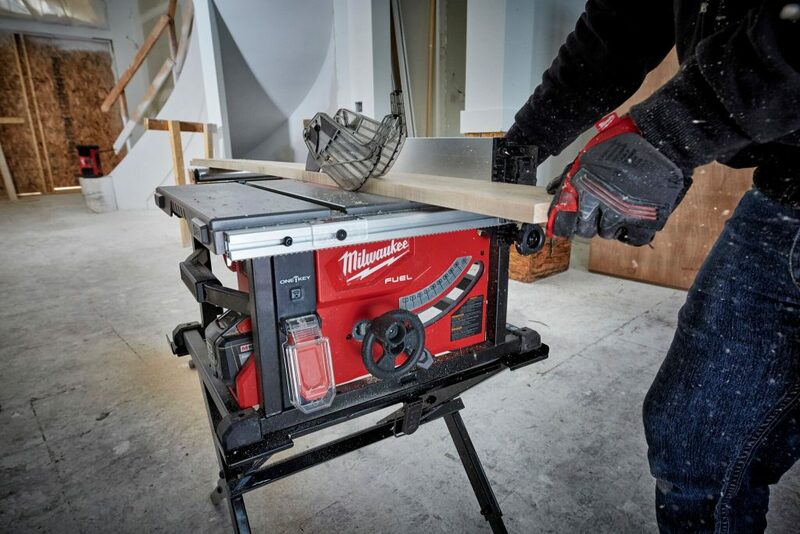 Milwaukee’s new M18 FUEL Table Saw with One-Key (2736) delivers the power of a 15 amp corded saw and a rip capacity of up to 24-1/2″. 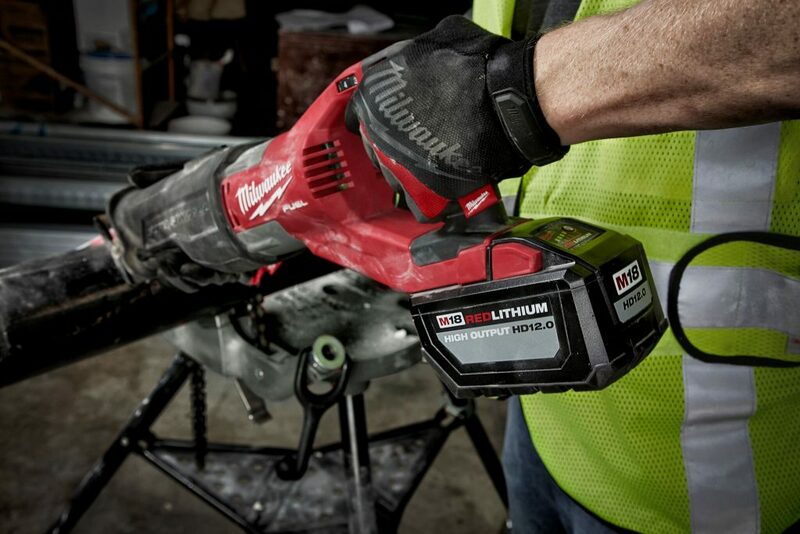 When used with the new 12.0 Ah battery pack, this saw can cut up to 600 linear feet of lumber on a single charge. It’s also equipped with One-Key, which provides integrated tool tracking and security. Like the M18 FUEL Table Saw, the M18 FUEL Super SAWZALL offers 15 amp power and faster cutting speeds than Milwaukee’s AC Super SAWZALL. Well balanced and durable, the M18 FUEL Super SAWZALL offers all the features you expect from your reciprocating saw, including orbital action and five cutting speeds, but it runs cooler and longer than other cordless recip saws. It can make over 150 cuts in 2×12 on a single charge of a 12.0 Ah battery pack. 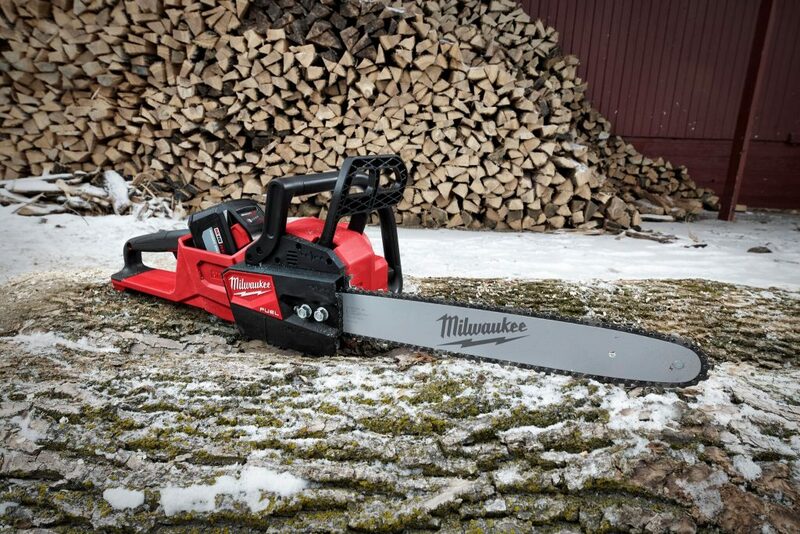 The M18 FUEL Chainsaw swiftly cuts through timber and hardwood. It hits full throttle in less than one second. This means it cuts faster than many small and mid-sized gas chainsaws. Another benefit over gas? The battery pack is much quieter. 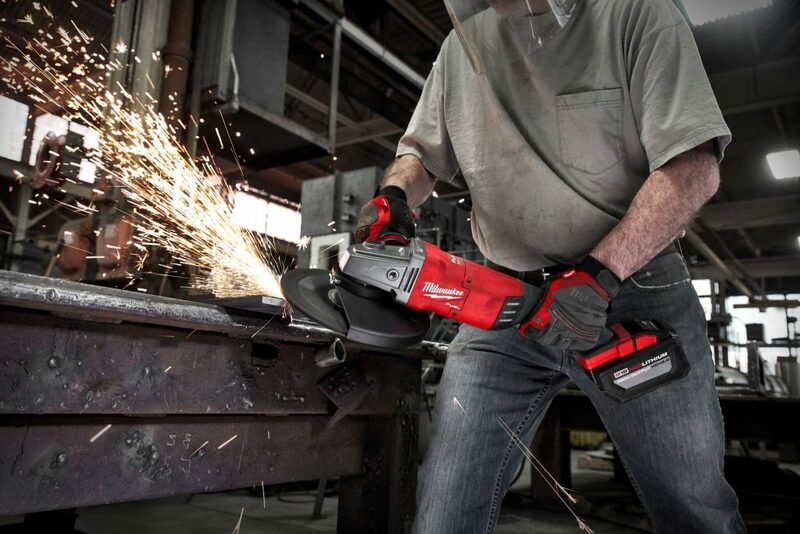 As for runtime, when paired with a 12.0 Ah battery pack, the M18 FUEL Chainsaw can make up 150 cuts through 6×6. With power and cutting speed that rivals a 15 amp corded saw, the M18 FUEL 7-1/4″ Circular Saw rips through lumber, plywood and LVL with speed and precision. This saw is made for professional carpenters, framers and other trades who value mobility, durability, power and runtime. It can make up to 750 cuts per charge when powered by a 12.0 Ah battery pack. 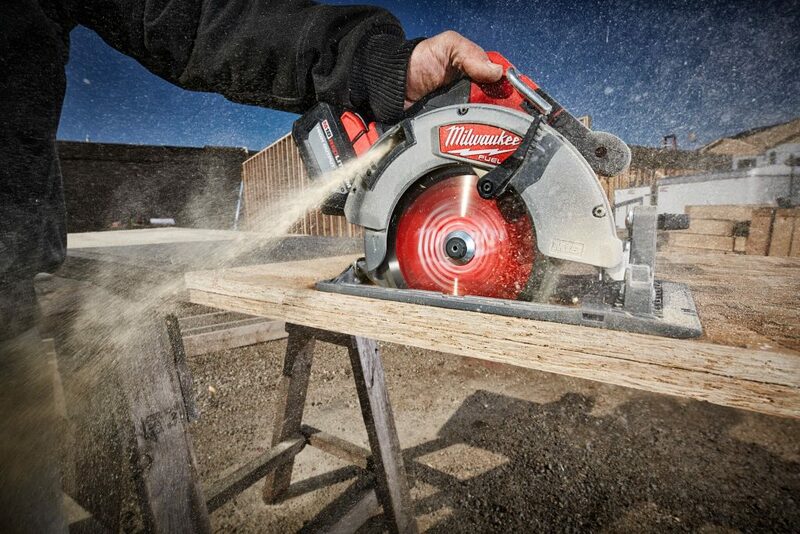 Milwaukee’s cordless 9″ angle grinder is an industry first, and it delivers enough power to replace a 15 amp corded grinder. It’s also as much as 2 pounds lighter. You can fit this tool with either a 7″ or 9″ grinding wheel. Milwaukee is also releasing a brand new M18 FUEL Drill Driver (2803-22), Hex Impact (2853-22), and Hammer Drill (2804-22), available for pre-order individually or as two or three tool combo kits. These tools are faster and more powerful than their forebears. They’re also more compact. 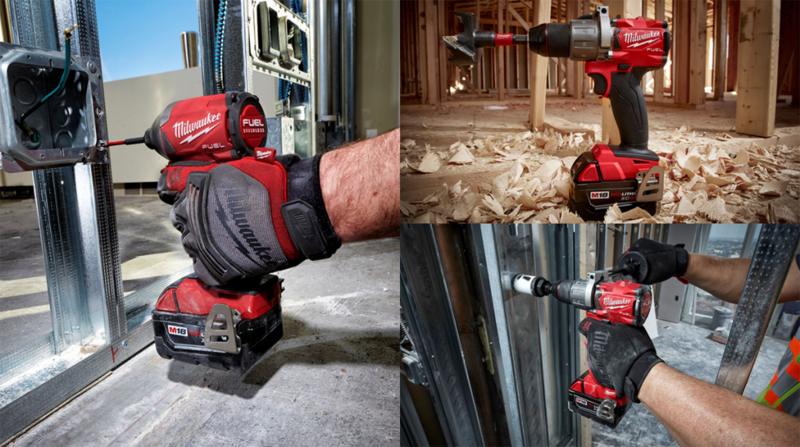 Milwaukee’s new generation of M18 FUEL cordless tools represent the next step toward a cord-free jobsite. These tools are designed for trades people who expect all-day, fade-free power, exceptional runtime, and rugged durability. Pre-order yours today and be among first to put these impressive new tools to work! 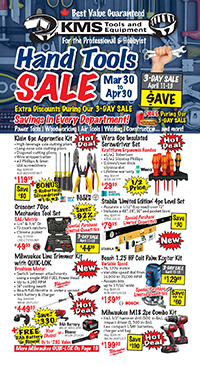 This entry was posted in Archives, Cordless Tools, New Tools, Outdoor Power Equipment, Power Tools and tagged cordless tools, FUEL, KMS Tools, M18, Milwaukee, new tools, Power Tools, Red Lithium, tool technology by Your Friends in the Tool Business. Bookmark the permalink.